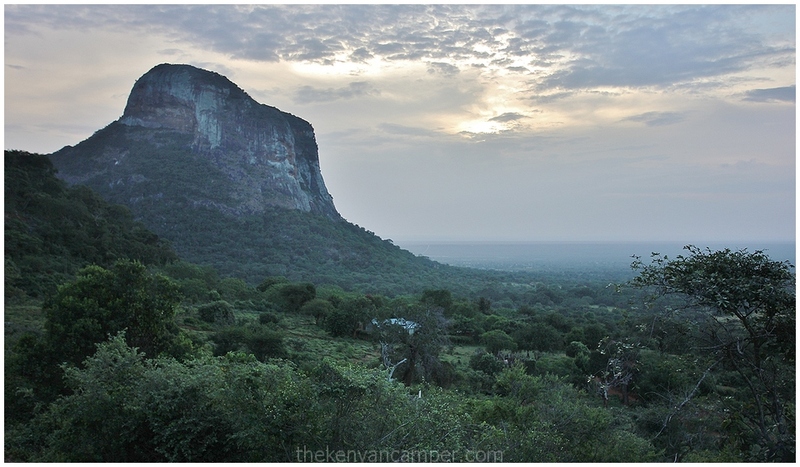 If you’ve been following this blog this past year it’s pretty obvious by now that Kenya’s tourism marketing may have sold us a few false truths. It has ingrained in our minds that travel is expensive and complicated, we’ve fallen for the marketing pitches that indicate the only options open to us are the wildebeest migration or the beach; that we cannot truly exhale unless we are lying by a pool with a colorful drink in hand. Are the above options wrong? Of course not let’s not be ridiculous here. But are they the only options? No, not by a long shot. 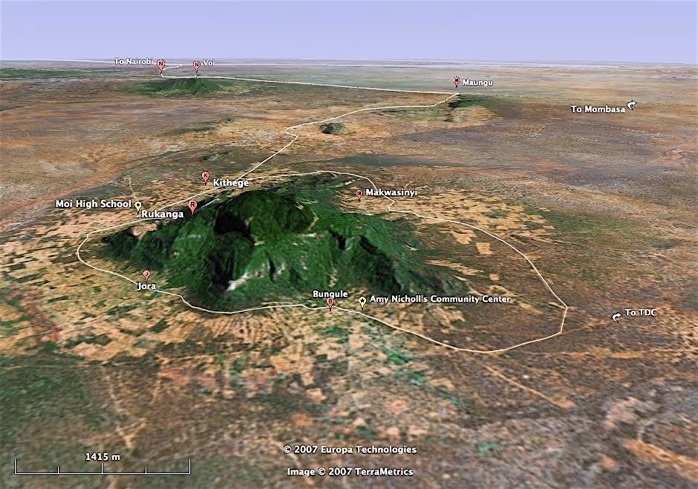 Mount Kasigau, located in Taita-Taveta County is part of the Eastern Arc Mountains bordering the southernmost reaches of Tsavo West National Park. 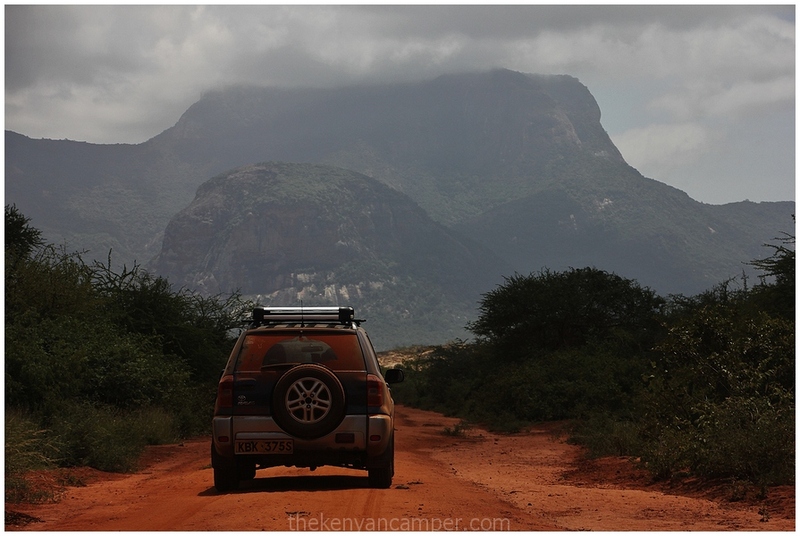 Located a third of the way between the Taita Hills and the Indian Ocean it rises 1600m above the Taru Desert, with savannah plains below giving way to its high montane forest. 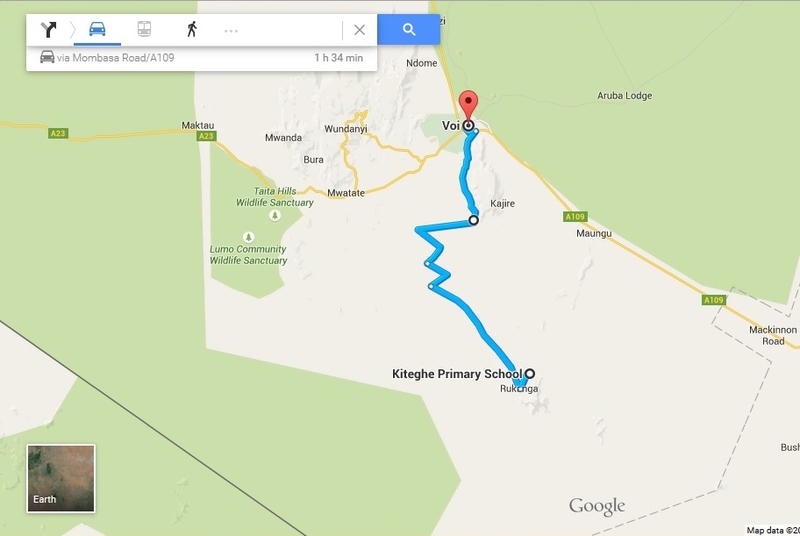 If passing travelling on the Nairobi – Mombasa Highway is clearly visible on your right as you pass through Voi. This region consists of 5 local communities around the mountain, Jora, Kiteghe, Rukinga, Bungule and Makwasinye with about 3000 people each. Being between Tsavo East and Tsavo West National Parks this area is an important elephant dispersal area. 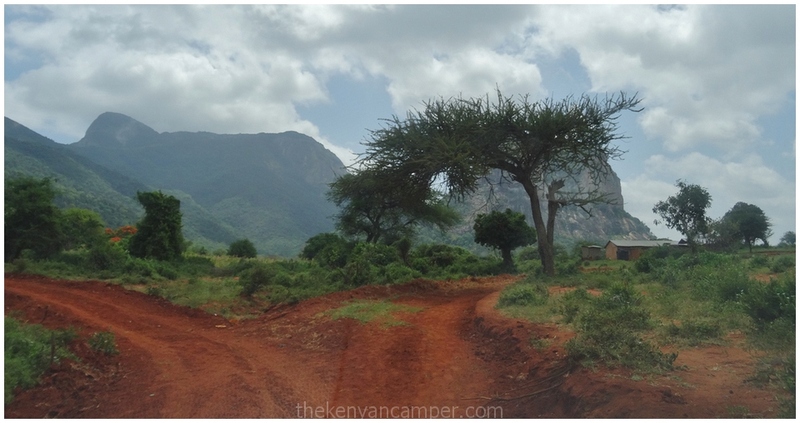 Mount Kasigau is about 45min (for some reason GMaps says otherwise) from Voi Town, there is another route through Maungu if you decide to go further down the highway. However the road between Voi and Maungu is very bad at the moment so the route shown below is a better option at the moment. The road is well graded however there are long stretches with corrugation and a few places the road has been washed out but well diverted. 2WD will make it no problem in dry conditions, public transport is also available from Voi town. Kiteghe village is one of the 5 villages located around the mountain and is a quick 10min drive from Rukanga Village which is the ‘capital’ of the area. This is also where we meet Maasai Kamando, Chairman of the Kasigau Community Forest Association, to show us the way. From the main road the bandas are located about 10min up toward the mountain. Photo below kind of shows you what the track looks like. 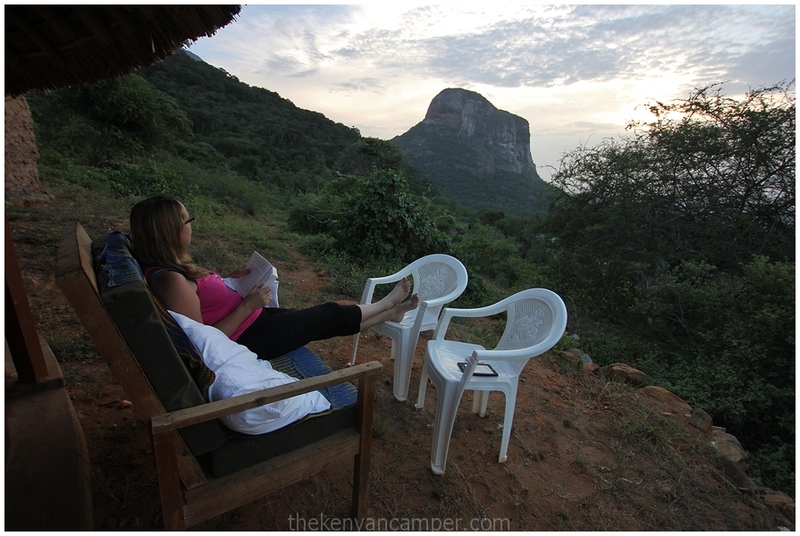 I must say at this point I still have no idea what to expect, but am not disappointed; the banda is a spacious rondavel spectacularly perched on the hillside at the foot of the Mount Kasigau. Each community of the 5 around the mountain has it’s own banda. This eco-tourism project was begun to assist the communities benefit from tourism income and stop deforestation, poaching and mitigate the effects of human-wildlife conflict. 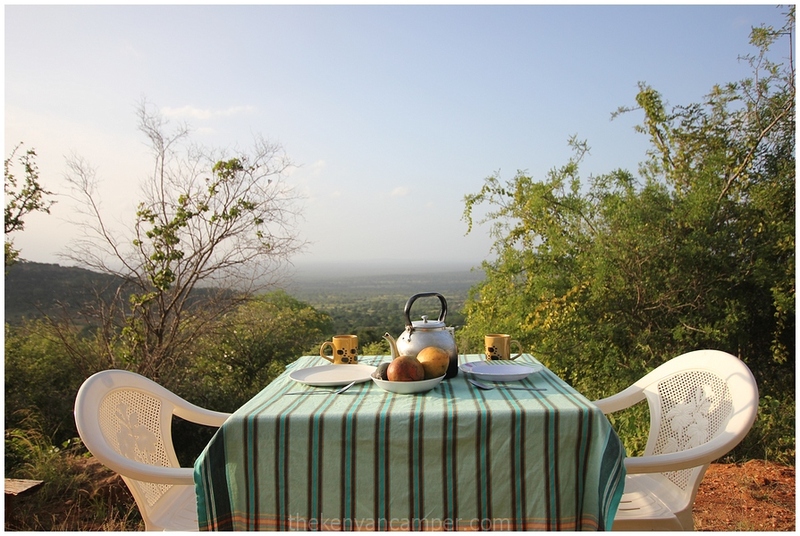 Are peak to the west dominates the view and is a constant companion to the bandas. You hear about commanding views; this place wrote the book on it. 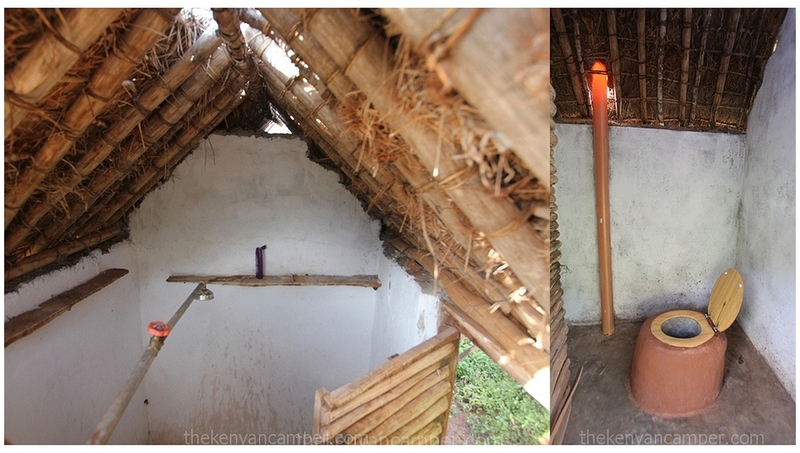 The structure on the left is a shower should you want to take a bucket bath under the stars. The inside is no less impressive containing a small living area, kitchenette and 2 bedrooms. I liked the canvas ceiling below the makuti, nice touch. 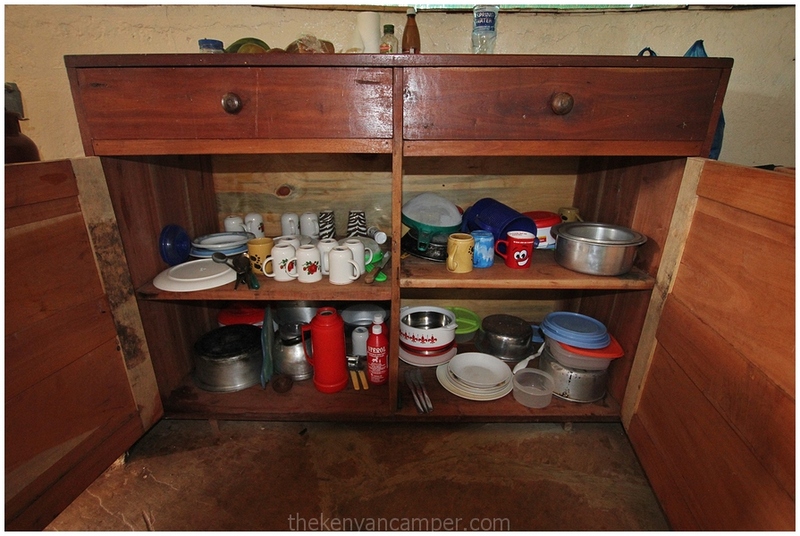 Kitchen area is stocked with all cutlery and crockery, also available is a meko gas stove and paraffin lamps (all fuel provided). In the right hand corner there is a solar charging system, be warned though the battery is old and it will only charge mobile phones VERY slowly a that. It’s going to be changed soon though. Water for washing and cooking is also provided, although you might want to boil it before drinking if you’re sensitive like that. Bedroom one has 2 double beds (tight squeeze), all linens available and there are blankets if you get cold at night. Mosquito nets are also provided. Bedroom 2 can sleep an additional 3 people and has the same items available as bedroom 1. What you can see from the door of the banda. About 10m down the hill is the shower/toilet. Running water is available here, and is really appreciated in the heat! Tea time! When passing through Voi don’t forget to stop at the markets for some mangoes, some of the best I have ever tasted. 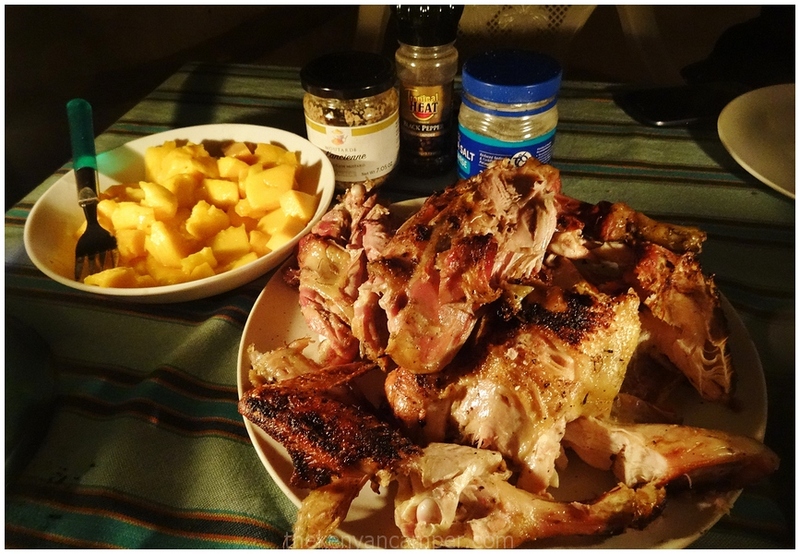 We ordered a local kienyeji chicken from a neighboring homestead; cooked Kasigau – style roasted over hot coals with mustard, salt and pepper and of course, more mango. Picture doesn’t do it justice, it was delicious! Who needs a buffet? However please make it clear to whoever you ask to bring the chicken that you would like it cooked. There was a momentary crisis when the chicken was brought squawking right to our door and me and the lady who brought it blinked at each other for what seemed like a lifetime. As usual we spend most of our days here just hanging out and doing nothing. The Muse particularly enjoys catching up on her reading. It’s difficult to describe the sense of peace here, the sound of cows coming home, a child crying in a nearby homestead, it all just adds to something I do not have the words to explain. With the weather so warm during the night we saw no need to make much use of the fire pit. Firewood is supplied but I am currently trying to use less of it when travelling, especially in areas where deforestation is a challenge. Another day ends at the Kiteghe bandas. Its always such a sight to see the sun go down, the colours seem to change every 5min. Thats something I can never get enough of in Kenya. Remember how I described this same phenomenon in Lake Bogoria? Just doesn’t get old. The bands are self-catering. If you are doing major shopping Voi Town is a good place to stop, the supermarket in Rukanga is quite small but will do for basic commodities and fresh produce. 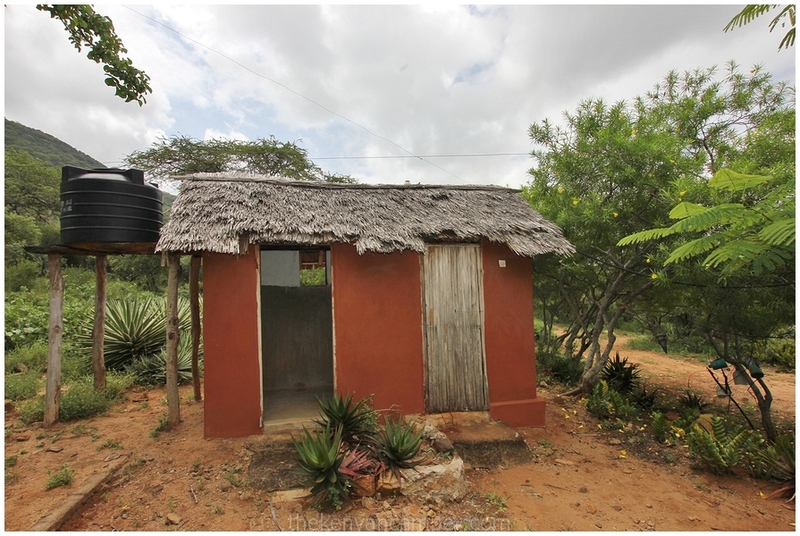 Cost for Kiteghe banda pppn is Ksh 800 for residents and Ksh 1,200 for non-residents. Camping around the banda with own gear is Ksh 400 with own gear. 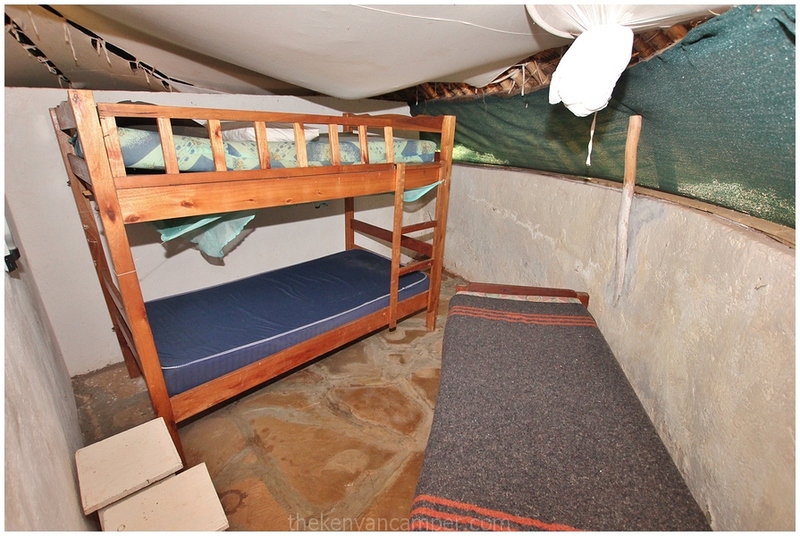 If climbing Mount Kasigau tour guides are available at Ksh 1000 and porters at Ksh 300. 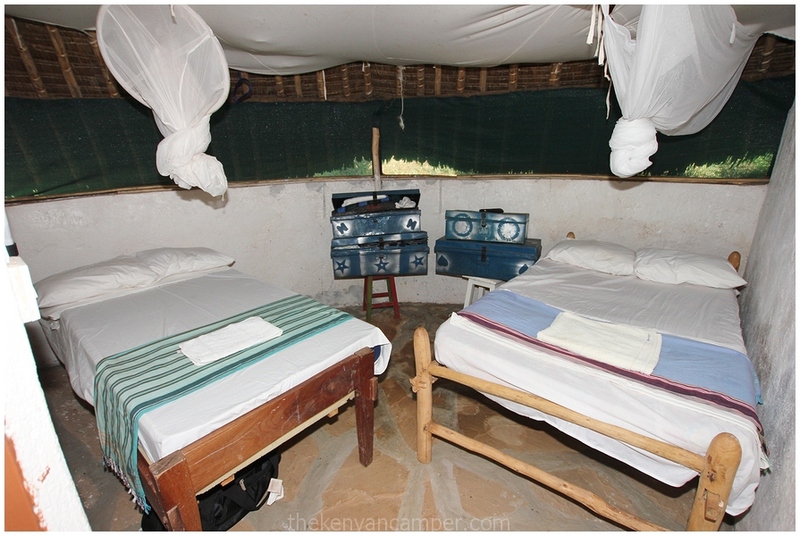 Camping on the mountain itself costs Ksh 2000 payable to the Kenya Forest Service. I’d like you have a look at one final image. I warn you, it’s not pretty. 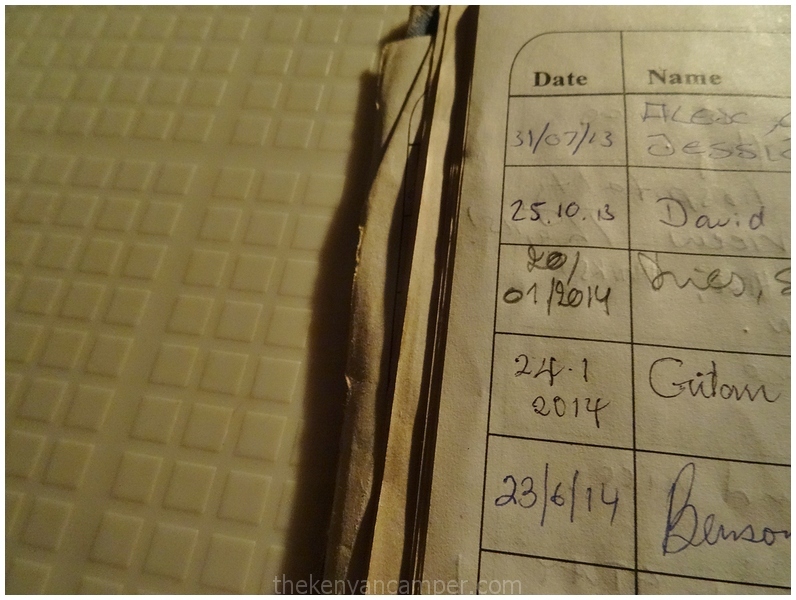 This is the visitors book at Kitege banda. Look at those dates again, I’ll wait. Done? Communities always ask me “Wakenya wako wapi, mbona hawatutembelei?”. On the other hand i hear Kenyans say “Travel in Kenya is too expensive, hotels only target wazungus, why are there no prices for Kenyans?”. And lets not forget our governments “commitment to opening up new tourist circuits”, it goes on and on and on in a cycle of self-destruction. Where is the middle ground in this impasse, and how can we address it? As per my introduction, we need to realize there is a problem when it comes to our perceptions as regards travel in Kenya. You’re wondering how we can change this right? Its simple, it begins with us. Next time you choose to travel, take a little time to think about the WAY and the WHY of your own journeys. Are you likely to see the Kasigau community up on some flashy billboard or in a glossy magazine? No. But you dont need to, you’ve just read this article. I’ve done my bit, I’ll leave it to you to spread the word. This entry was posted in Banda and tagged community, eco-tourism, kasigau on May 26, 2015 by thekenyancamper. Wow! I have been to Bungule. Way back in the 80’s my mother’s sister was a teacher here in a public primary school. I must have been 12 yrs because I had just sat my final primary exam. 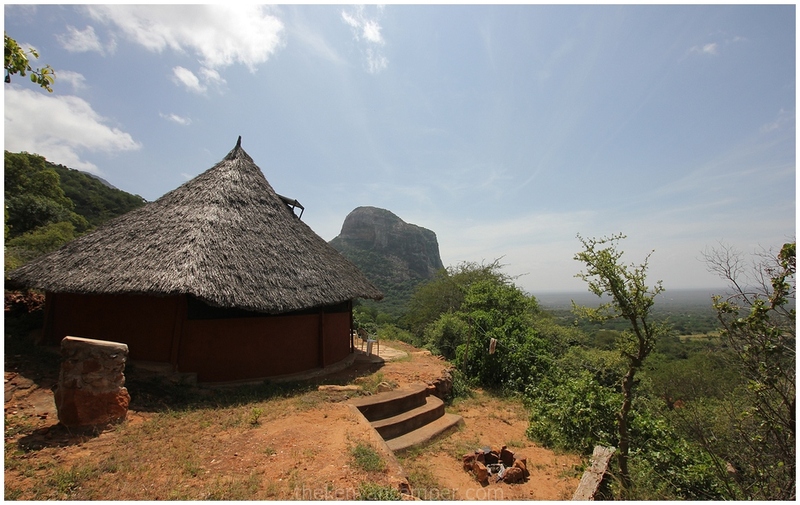 Coming from Voi, where I was born, I was totally taken by the scenic hills and the people. Thank you for posting this. I will make a point of visiting these bandas. My aunty has since passed on but she was always talking about how peaceful Bungule was! I enjoyed reading you comment, what a lovely memory to share. I really hope you make it back there one day. You are most welcome, it’s a lot of fun and I’m happy that you’re reading the blog. I’m still waiting to hear about one of your visits! i enjoyed your blog on Kasigau . 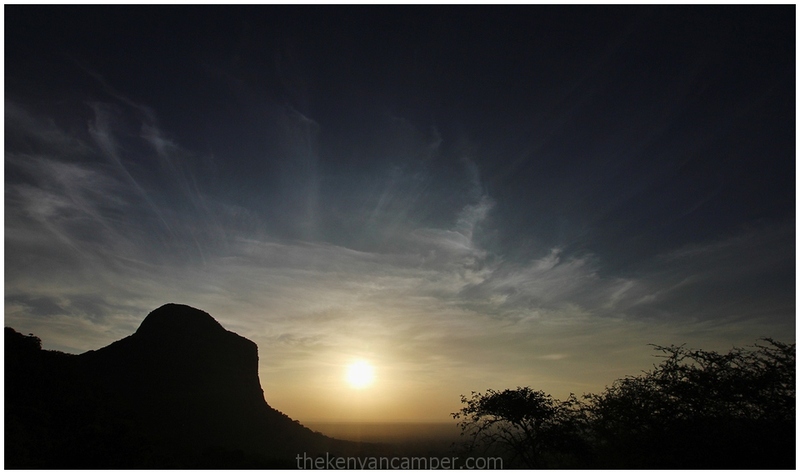 We used to visit years back whilst staying at nearby Rukinga ranch.We would set off for Kasigau emote sunrise and climb to the summit, stopping off at the mferage (sp?) on the way down.It took the whole day and was memorable.love the look of the Bandas and if I’m up that way would definitely stay. Hope they do well! Nice to hear from someones who’s been there. Unfortunately as you can see the bandas are not doing well at all, some of the ones in other villages are slowly returning to dust. Just 3 guests in 2014! We need to get more Kenyans travelling. Thanks for highlighting another beautiful place for me to visit. I’m glad you picked up on that point. Please let people know about the bandas, the community is loosing heart. You know I save EVERY one of your articles in my Trip Destinations. I am definitely following in your footsteps. So you have not failed in educating myopic Kenyans. Emmanuel, it’s fellow travellers like you who keep me going. You have the right spirit and attitude which is the most important step. wow great work i was there too for the weekend .. hiking the hill itself i managed to see the camp deeply hidden t the thick forest …. kudos! Thank you for the post. I love nature and this is one place to visit. We have a beautiful country. Where can i get more details? This the first time I’m reading or hearing of Mt Kasigau *hangs head in shame*. Kudos for highlighting and publicizing such off the beaten path destinations. Mt Kasigau is now definitely on my bucket list. Racheal, you get around enough already I’m sure you can be forgiven this one time. That would be an amazing bike ride . Thanks for sharing. Kenya is truly beautiful. great to read through your blog. I was in Kasigau a month ago for pilot tour in search of hidden Gems of Kenya where I traveled up to Wundanyi where I did hike the Vuria Hills and also the magnificent “Jiwe LA Wesu” . I wonder where Kenyans are traveling to if not such hidden Gems. from magnificent hotels such as Taita Rocks to Hotel Lavender in Wundanyi but of all places Kasigau is one place whose beauty words alone can’t describe especially the hike to the dense canopies. we need such and more destinations. Kenya is a land of great gems. Especially if you choose to go off the unbeaten track !! It looks phantastistic!! What about public transport from Voi? What time is best to leave Voi? Early morning? 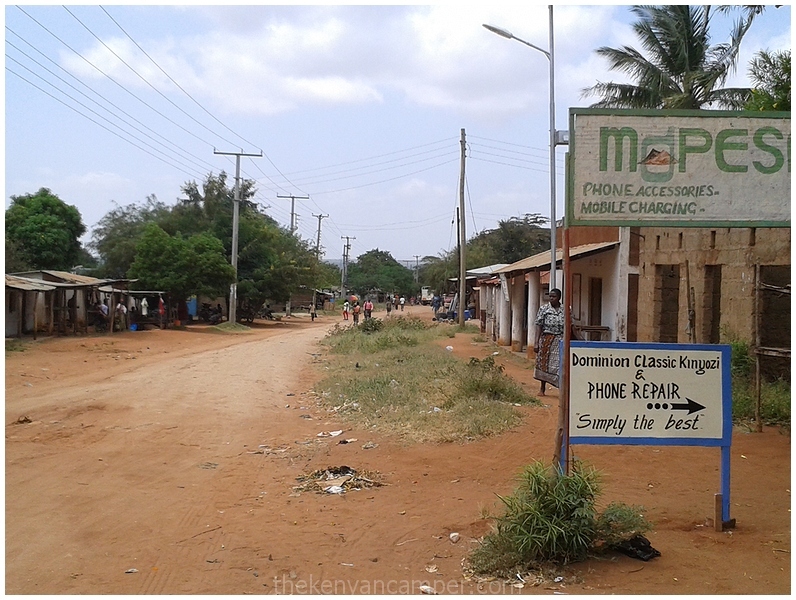 Transport from Voi should be no problem at all, you just might have to wait a while at the bus station. Morning would be best, evening there might not be many people heading there. Great. Asante. Will go there soon. Irene, nice to hear from you. thank you so much for your nice welcome. Wishing you the best. It’s truly sad that Kenyans don’t promote their own. I’ve made it a life mission to exhaust all that my beautiful country has to offer before I venture elsewhere, truly a beautiful article here. I am definitely visiting. Keep up the good work!! Njeri, that is why I always say if you try look at the big picture it’s easy to get discouraged. You have to think small, just do your part and the rest will follow. Happy travels! Mt. What? Kasigau? And I say that am happy to be Kenyan? You have done justice to the place but more so to us ‘middle class’ Kenyans who drink our selves silly over the weekend only to find out about this magnificent place from your blog when sitting bored in my air conditioned office wondering why I cannot let myself loose and live for once. Dominic, just like you I’m an office lemming who counts down all the excruciating minutes until the weekend. And I don’t fool myself, I like to shake a leg with the best of them on occasion. But sometimes you have to decide. Is it going to be pals/ family /work or your are you going to nourish your own soul? It’s a personal choice for everyone. I like your camping experience in the land I was born. It is very inspiring that you have visited this place and you are greatly opening it to those that have never been aware. I commend you for this enormous contribution towards exciting tourism discoveries. Thank you Mwakai, it was a pleasure to visit the area. Hopefully will be back sometime. 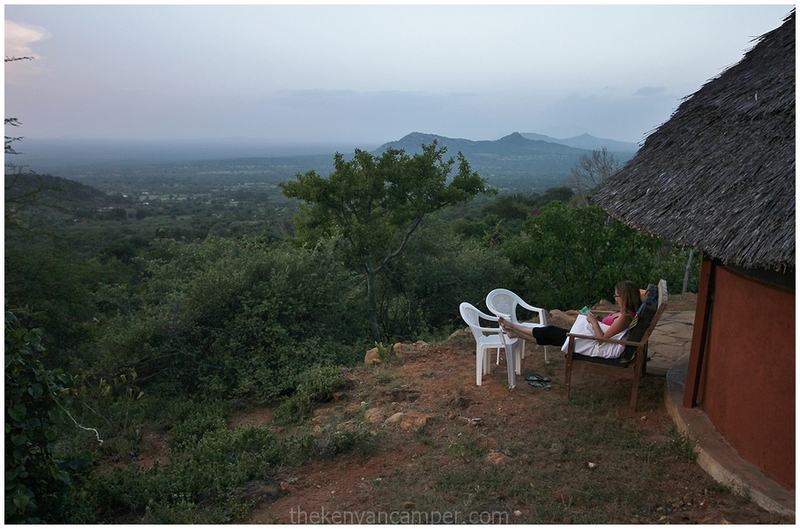 I just stumbled on your blog and I already love reading your travel tales. Thanks for the kind words Lora, I’m glad you’re enjoying the blog. 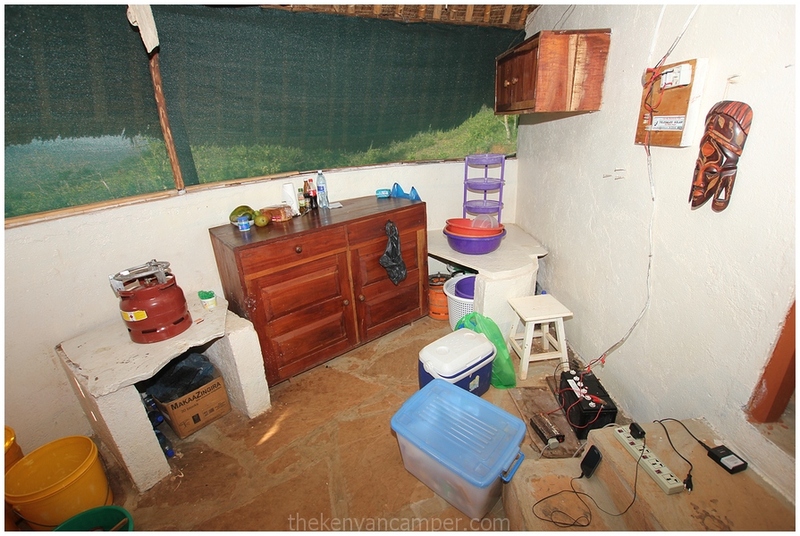 Hi I’be stumbled on yr blog and want you to know that I was building a lodge not far from Kasigau in 2009. I was so in awe of the beautiful place that I purchased land in Kiteghe village and have since set up a campsite and 5 self catering cottages. I too lament that very few Kenyans Venture further than the Tusker bottle and nyama choma at weekends so our rates are deliberately low to try to pry people out of their comfortable urban existence to experience raw Kenya. visit http://www.Malewa.com for details of our project. Thank you. Chris Campbell Clause. Kasigau Base Camp. Hi Chris and cheers for writing in. I believe I did see your campsite when I was in the area but didn’t pop in. You’re so right about how many of us spend our free time and it is quite difficult to change attitudes towards the great outdoors. Additionally tourism marketing has had a foreign bent for so long so that doesn’t help either. However it is possible to change this, one person at a time and with lots of elbow grease from people like us! Your camp looks cool by the way, it’s the kind of place I could spend a week at and get loads of writing done. Could you email me some pictures of the cottages and the campsite? Cheers. Really lovely place. Thanks for bringing it to my attention. Added onto my places to go next list. 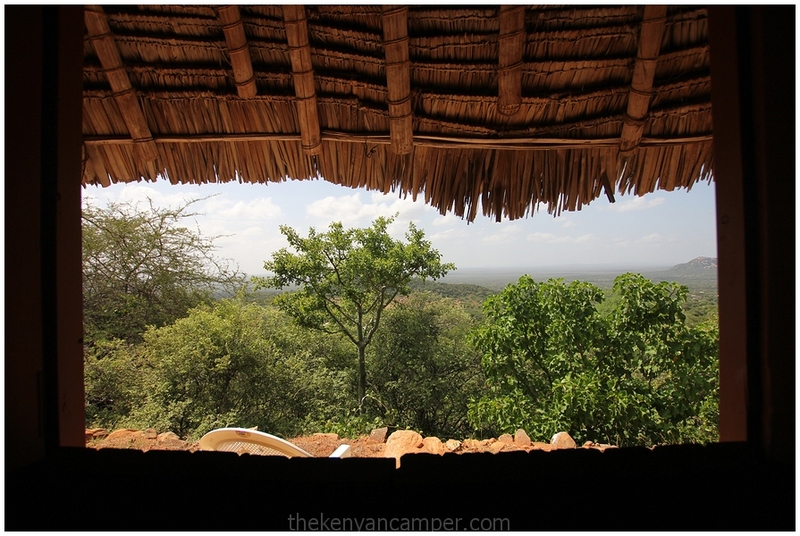 I went up there and camped in the forest when doing my field guide training at rukinga ranch. The forest up there is amaaaaaaazing! And the sunrise from the top even more. Will go back there as soon as the kids have grown a bit. I never visited the forest or climbed. I really hope to go back here one day for a much longer visit, I really felt at home here. Hi, what other details would you want? I already share everything I know about these destinations on the blog.